Breathing in Grace: Pretty in Pink!!! 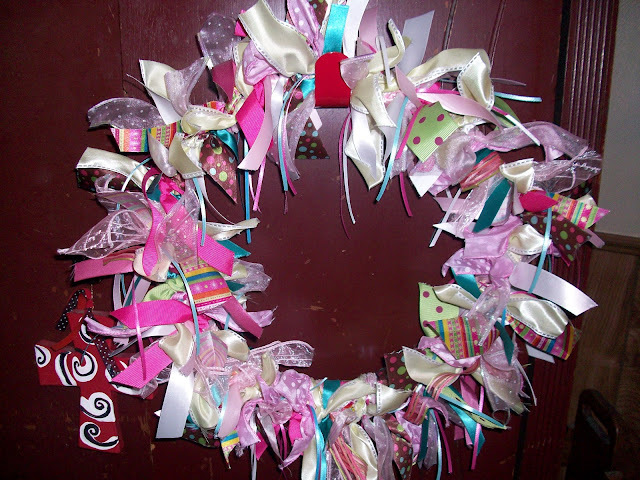 If you are local, and would like to own this wreath, just leave me a comment, or e-mail me. For a bit extra $$$, I'll also add an initial of your choice, painted the color you choose. It would look so pretty on a little girl's door to her room!!! So beautiful and so feminine with all those colorful ribbons! Wish I lived near by!